Book Review: Grit: the power of passion and perseverance. Angela Duckworth of the University of Pennsylvania. I was bought up with the thought, “If at first you don’t succeed; try, try, try again.” I did not release at the time but I was learning to stick at things, to be “gritty”. Why is this important? Many believe that grit is a personal strength that leads to resilience and long term success. 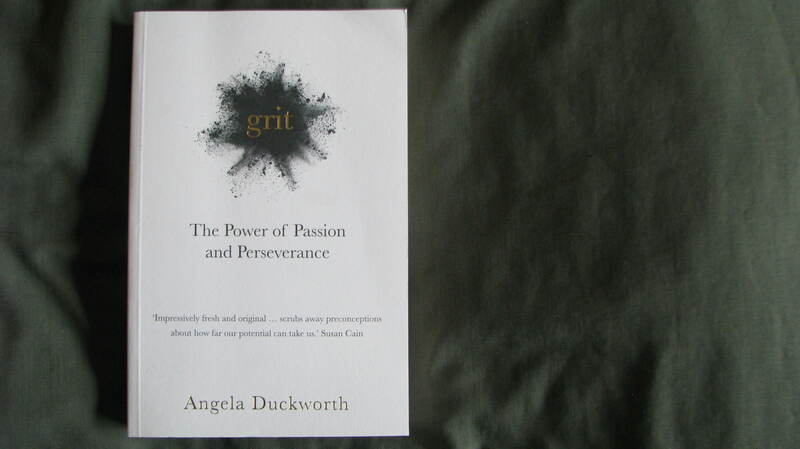 In her book, and TED talk, Angela outlines what grit is, how and why grit leads to success and how to encourage development of grit. It’s a useful concept, loved by many. Elizabeth Gilbert author of the best selling book, “Eat, Prey, Love” puts it this way, “Happiness is a consequence of personal effort. You fight for it, strive for it, insist on it.” And J.K. Rowling put it, “I would like to be remembered as someone who did the best she could with the talent she had.” Both these successes came after decades of practice. No overnight successes here. In New Zealand were encouraged to worship our All Backs. Colin Meads, an All Black Captain, once finished a game with a broken arm. Personally I think that is just stupid. Gritty people are interested in long term success, sometimes that means; stop and reassess the intermediate goal. I am pleased that Angelia does develop this idea in her book, with a chapter on resetting short and intermediate goals but I am not sure if that goes far enough. But I think that sometimes the thing to do is to quit. There is no sense in beating a dead horse. Balance is always a sensible idea; be gritty, work hard; maybe, even obsessively toward your goals and remember to look after yourself and those you love. I recommend this book and the TED talk. And I encourage the reader to be ‘gritty’ and to seek balance in your life. This entry was posted in creativity, Curiosity, education, healthy, Original, Review and tagged education, sustainable. Bookmark the permalink.